Hong Kong has been named as the best business city in the world several times over. So, it’s no surprise that as a growing international fresh produce company we chose this incredible and vibrant city to base our Asia offices in. And it’s Jupiter’s investment in the city that saw our Group Director Yvonne invited to take part in a UK seminar by Invest HK, whose goal is to strengthen Hong Kong’s position as the leading international business location in Asia. 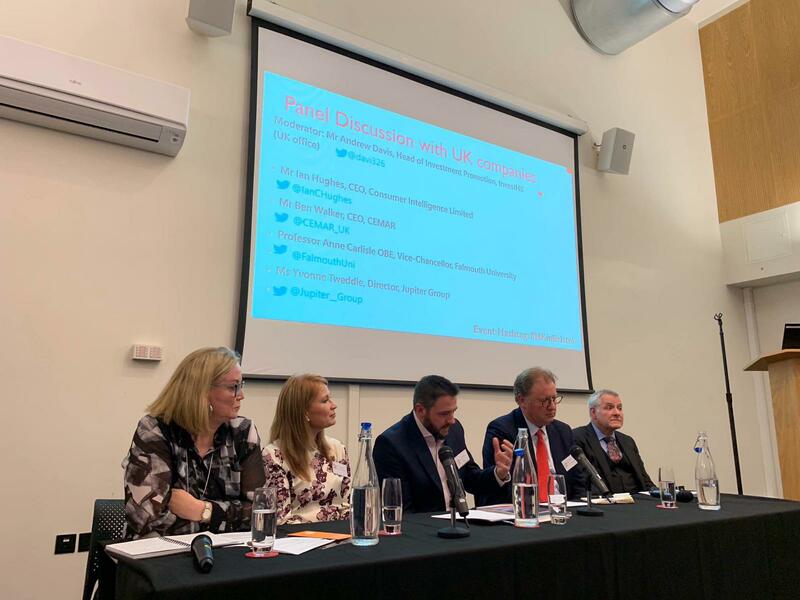 The Doing Business in Hong Kong Seminar, held in Bristol earlier this week, saw Yvonne join a select discussion panel of UK businesses to reveal our company’s successful first-hand experience of operating in Hong Kong. Yvonne said she was honoured to have been asked to share the Asia leg of the Jupiter story to guests from across the globe and fellow panellists, including Ian Hughes, CEO of Consumer Intelligence Limited and Ben Walker, CEO of CEMAR. “It was a really interesting seminar,” Yvonne said: “Firstly to see how many other UK businesses are investing in Hong Kong, and to hear fascinating facts and figures about the region, including that half of the world’s population is in a five-hour commute of Hong Kong. Yvonne added that the Hong Kong office is one of her favourite to visit because she loves the vibe of the city, which not only ranks as the world’s third largest recipient of direct foreign investment but continues to experience impressive business growth annually. In 2018 we had some great experiences in Hong Kong, including attending Asia Fruit Logistica, where our new variety grapes were showcased, and Asia Fruit Congress, which we also sponsored. We were also proud to support Fat Boys 10s charity golf and rugby tournament in the city, which helps underpriviledged children in Asia. The Doing Business in Hong Kong seminar was organised by Invest HK, Hong Kong Economic and Trade Office, London, the Hong Kong Trade Development Council. It was supported by the Department of International Trade and China Britain Business Council and the keynote speech was given by Director-General of Invest HK Stephen Phillips.